Wow....where do I start? So much to say...so little time. Anyway, I will start by saying that I promise that I won't talk about the Heat or the Bulls for the third straight day tomorrow because they don't play tonight. With that said, let me get to it. Ordinarily I would have said that The Cold losing to the Sixers last night was The Cold Hitting rock bottom, but I actually watched a sixers game last week (vs. Lakers) and they are pretty talented and very, very athletic, (they just don't know how to play together yet). 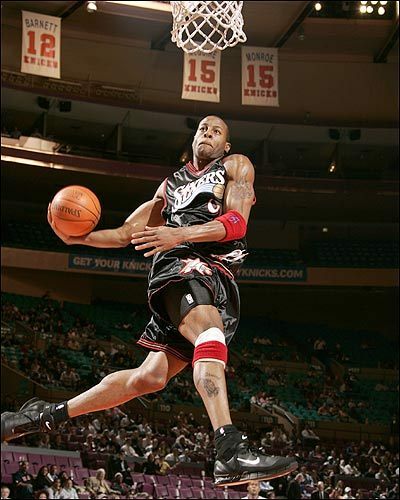 Iguodala, Andre Miller, Willie Green and Dalembert play hard every night, hustle and can out jump anyone in the gym. This is the total opposite of what The Cold can do.This game was like watching an 8 year old trying to catch a grasshopper! See above. 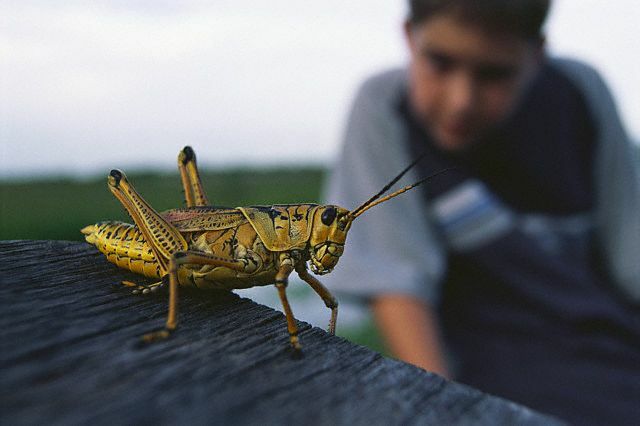 The grasshopper is obviously quicker and more agile than the uncoordinated child. You get the picture. As for the 4 cylinder last night he put up minimum effort with 5 points and 10 boards. That's what you get for $243,902 a game. Putrid. If your the Bucks last night.....at what point do you say "we need to stick to jump shooting"....well for the Bucks it was after Camby's 10th block of the night....yes I said 10th!. Camby put in Maximum effort with 10 pts. 11 boards and 10.... count it....10 blocks! Beastly! I must say I thought the Bulls energy was slightly better last night, but they lost this game in the 2nd quarter when Tony Longoria snapped off to spark a 17-2 run. Hats off to Joe Smith for giving the baby Bulls some solid veteran play. Wonder how long it will be before the Bulls make a move? Empty seats at the United Center are becoming more and more apparent. Enough already with the "intrigue" about if and how long the starters will go in a meaningless game for both teams. Everybody knows the Patriots will try to win this game in the 1st quarter and call off the dogs after that. The killer part is the Patriots have backups that are better than 70% of the teams in the league....which gives them the edge either way. Getting ready for the playoffs and staying healthy is the priority here folks. The Giants don't care about this game. You will be lucky to see any starters on the field for both sides after halftime. Gotta give love to my straight ballers on the hardwood last night. All of these guys are good and play hard every night. Take notes all you NBA overpaid underachievers.....you know who you are ! Chris Paul- 40 points, 9 assists & 5 boards (I love it when PG's can score and dish)! Monta Ellis- 35 points, 4 assists & 6 boards (He's a 2 guard in a PG's body)! 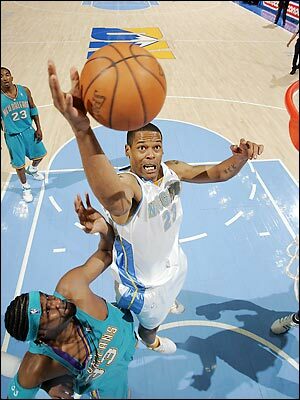 Marcus Camby- 10 points, 11 boards & 10 blocks (as I said before.....beastly)! Joe Smith- 19 points, 11 boards & 2 assists (yes, he still plays)! Ben Wallace- 2 points, 5 boards? really? Shaquille O'Neal - 5 points 10 boards. damn! Jason Terry- Went 0-10 in 22 minutes (did not score). Watch out tonight Daniel Gibson, J.T. 's trigger finger will be ready! This page contains a single article from December 27, 2007 9:31 AM. The previous days article was Home of Greg Gamble’s Daily ATS Picks. The next days article was Roundball Picks & Round Assets by Greggy G.